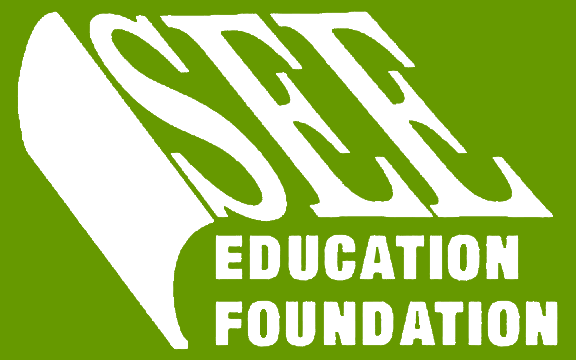 For the first time ever, the SEE Education Foundation is taking its annual fundraiser, the SEE Education Foundation Auction, online. This is an exciting development for the SEE Education Foundation. The auction will feature the traditional preview sheets at the annual conference and items will be available for viewing at the gala reception. However, bidding will take place on the auction website. The auction is open to members, industry professionals and supporters around the world. The online bidding process includes out-bid notifications so you won’t lose out on your favorite packages and the checkout process will be faster and easier. There are many items already posted to the auction site and are available for bidding from now until Jan. 30, 2018. As in previous years, the SEE Education Foundation will be auctioning off a variety of fun, priceless and unique items to raise money for the Education Foundation Scholarship Fund which supports students pursuing degrees in explosives-related fields. You can support these fundraising efforts by bidding on the amazing packages we have up for auction, or you can make a donation to the Education Foundation Scholarship Fund without bidding. The auction culminates at the Grand Finale Gala at the 44th Annual Conference on Explosives & Blasting Technique. Please submit your bids, track your favorites, set alerts and make these items yours, all while supporting the Education Foundation's efforts. Make your plans now to attend the ISEE 44th Annual Conference on Explosives & Blasting Technique, and register before Nov. 30 to receive discounted early bird rates. As many as 1,600 blasters, manufacturers, government officials and suppliers gather from all over the world to gain new insights and to form new business alliances. Participation will be strong as the largest conference of its kind in the explosives industry comes together in San Antonio. Register online today! Click here to book your sleeping room reservations online, or call the Grand Hyatt San Antonio Hotel at 1-888-421-1442 or (210) 224-1234. Please be sure to mention ISEE to receive the conference discount rate of $210 single/double. Your help is needed in keeping meeting costs down by reserving your sleeping rooms at the Grand Hyatt San Antonio Hotel. Please watch out for housing poachers. 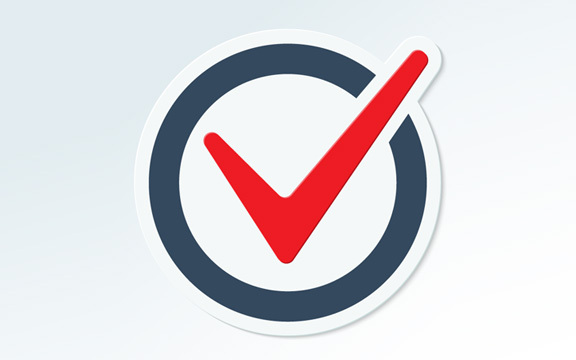 You will receive a discount off the lowest applicable published airfare when you make airline reservations with Delta Airlines. Book online at Delta and enter the meeting event code NMQR7 under Advanced Search. The Annual Conference on Explosives & Blasting Technique is the largest conference of its kind. As many as 1,600 blasters, manufacturers, government officials and suppliers from all over the world are expected to gather for this conference to gain new insights and ideas and form new business alliances. The conference will run Jan. 28 - 31, 2018, at the Grand Hyatt San Antonio Hotel in San Antonio, Texas. For more information visit the conference page. Learn. Connect. Exchange. Leading the explosives industry in education, training and networking. Opening Speaker and astronaut Mike Mullane will deliver a powerful message on an employee's role in keeping themselves and their teams safe in hazardous environments during his talk entitled, “Countdown to Safety.” He uses the space shuttle Challenger disaster to define this term, its safety consequences and how individuals and teams can defend themselves from the phenomenon. Mullane was selected as a mission specialist in 1978 in the first group of space shuttle astronauts. He completed three space missions aboard the shuttles Discovery and Atlantis before retiring from NASA and the Air Force in 1990. 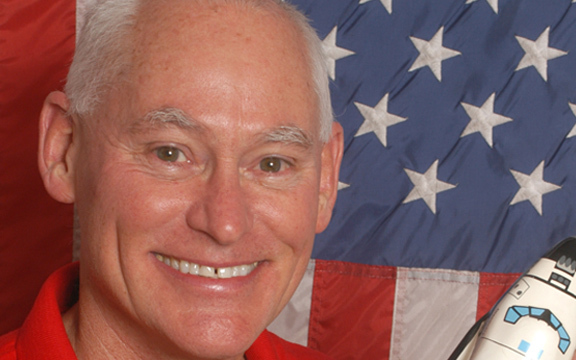 Mullane has been inducted into the International Space Hall of Fame and is the recipient of many awards, including the Air Force Distinguished Flying Cross, Legion of Merit and the NASA Space Flight Medal. The ISEE Board of Directors Election is now underway. Eligible voters, all members in good standing with the exception of student members, can cast votes until Nov. 30, 2017. Elected officers and directors for 2018 will take office at the 44th Annual Conference on Explosives and Blasting Technique to be held Jan. 28–31, 2018, in San Antonio, Texas. 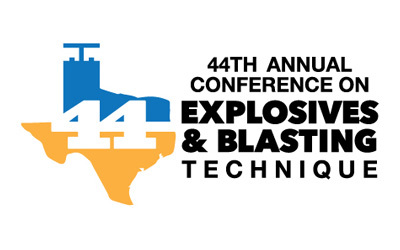 Registration is now open for the 44th Annual Conference on Explosives and Blasting Technique. It will be held Jan. 28 - 31, 2018, at the Grand Hyatt San Antonio Hotel in San Antonio, Texas. As many as 1,600 blasters, manufacturers, government officials and suppliers will gather from all over the world to gain new insights and form new business alliances. Participation will be strong as the largest conference of its kind in the explosives industry visits San Antonio for the first time. The 2018 program includes a dynamic education program featuring technical sessions, poster session and workshops combined with more than 130 exhibits on the latest technology. In addition to the full conference, the Blasters Weekend Package, commencing on Saturday, Jan. 27, will include the popular Blasters Training Seminar, the Blasters R Us Video Roundup, a regulatory panel discussion and more. In addition, educational programs, books, DVDs and ISEE apparel will be sold at the ISEE bookstore, including the 18th Edition ISEE Blasters’ Handbook (print and digital) and the 44th Annual Conference Proceedings, featuring all the technical papers from leading industry experts.